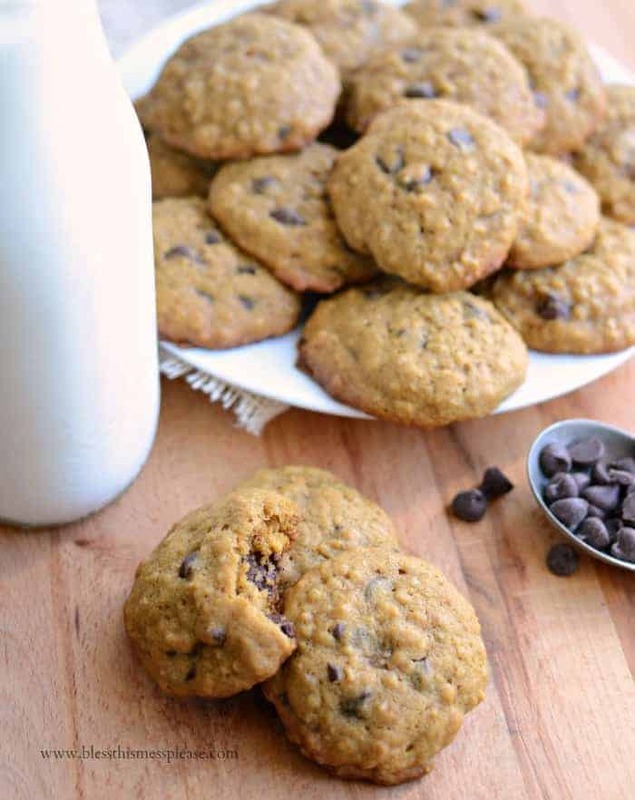 Pumpkin oatmeal chocolate chip cookies are the perfect treat to take to your next Fall gathering. 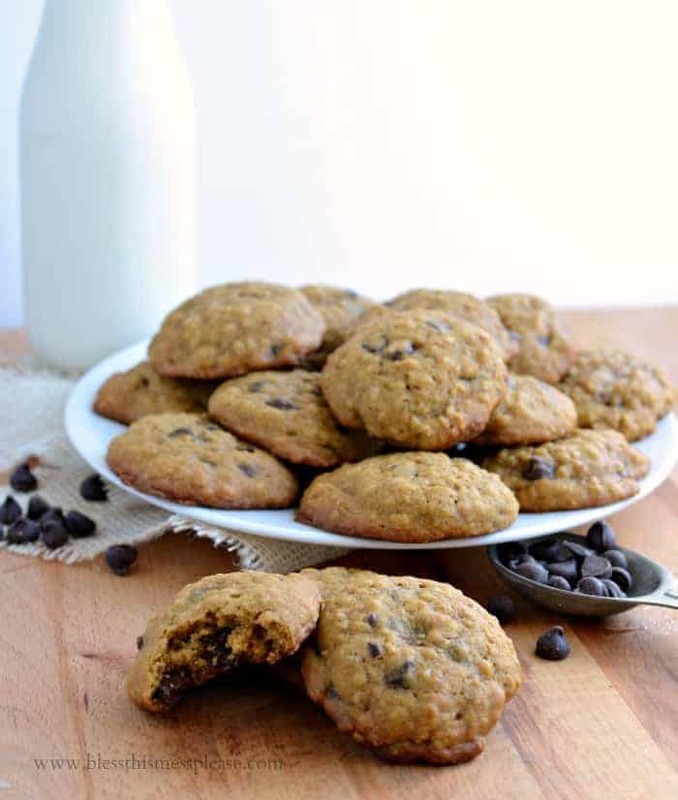 Full of Autumn flavors, oats and pumpkin this is one delicious chocolate chip cookie recipe! I am beyond excited today, because it is October 5…. and that means it is the first day of #Choctoberfest! #Choctoberfest is a virtual event put together by The PinterTest Kitchen. Bloggers from around the world will be posting their favorite chocolate recipes, and you’ll get a chance to win some awesome prizes. I don’t do this type of thing super often, but it’s pretty fun every now and again. It’s a great way for my to support other bloggers, too. I donated an apron from my Etsy shop to the prize pack, so I hope you enter! I love shipping to people I “know” online. 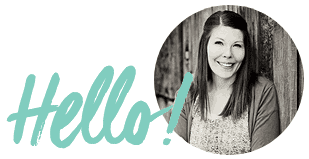 So many amazing bloggers to get to know! And because it’s Monday we need COOKIES! 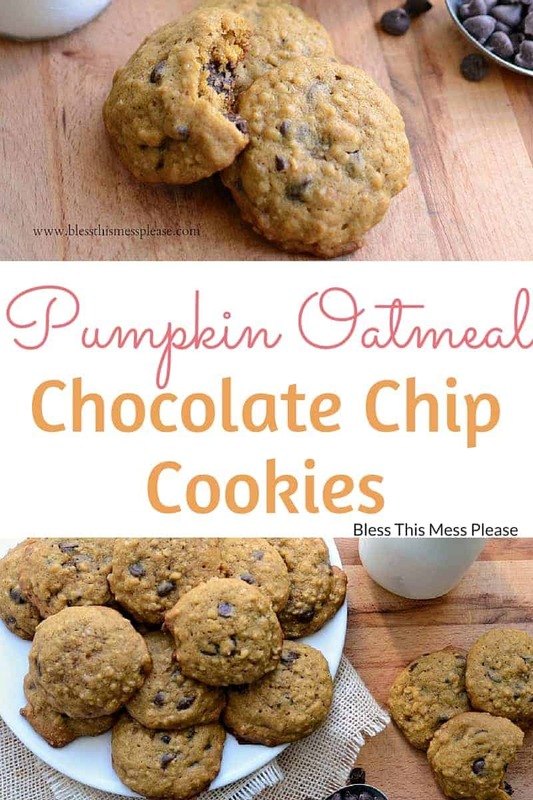 Pumpkin oatmeal chocolate chip cookies, to be exact! I love all things pumpkin chocolate chip, but skipping the box of cake mix and making homemade cookies is what’s setting this recipe apart from all the others. The addition of oats makes them have such a perfect texture, too. 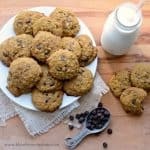 They are still very light and soft like other pumpkin chocolate chip cookies but they are a step above. If you are feeling extra domestic, you can make homemade pumpkin purée (cook the pumpkins in the slow cooker! ), just be sure to let the homemade purée sit for an hour or so in a fine mesh strainer or cheesecloth to let some of its juice run out; it tends to be wetter than commercially canned pumpkin. In a medium bowl or the bowl of your stand mixer beat together the butter and sugar until well light and fluffy, about 2 minutes. Add the egg and vanilla and mix well to combine. Add the flour, oats, baking soda, salt, and cinnamon. Mix well. Add the pumpkin and stir to combine. Add the chocolate chip and stir until just incorporated. Scoop rounded tablespoons of the dough onto a parchment or baking mat lined baking sheet. Bake at 350 degrees for 12 to 14 minutes (I like the 14 minute cookies and my kids liked the softer 12 minute cookies…). Store extras covered at room temperature. I have all kinds of pumpkin recipes on the blog, including: soft pumpkin cookies with pumpkin spice kisses, pumpkin pie made from fresh pumpkin, and honey roasted pumpkin seeds with cinnamon. I hope one makes it into your baking this cool wet week. Enjoy these pumpkin oatmeal chocolate chip cookies, friends, and have fun checking out all things #Chocotoberfest. It’s all week long so be excited! Disclosure: I was sent product samples for participating, but I haven’t been paid to develop recipes or for my time. I’m participating because it’s fun for me and fun for you! Enjoy and have a great week friends. I love Dark Chocolate and love to make flourless chocolate cake with it. Yum! I need that recipe!!! My favorite is just your basic chocolate chip cookie right out of the oven! A fresh chocolate cookie of out the oven! 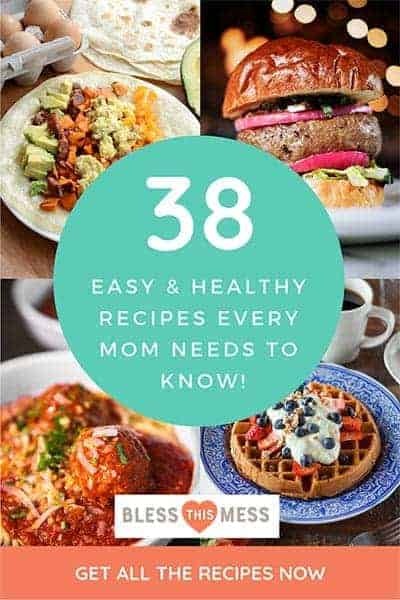 HooEee Lady, this recipe looks dangerous! I will definitely be trying them this year!!! I love chocolate anything! Especially brownies! Yum. I’ll try these and let you know. Cookies are my weakness. My favorite is dark chocolate and my peanut butter balls dipped in dark chocolate. A big family favorite! Ok yummy! We are out of school tomorrow and will be making these. Thanks! 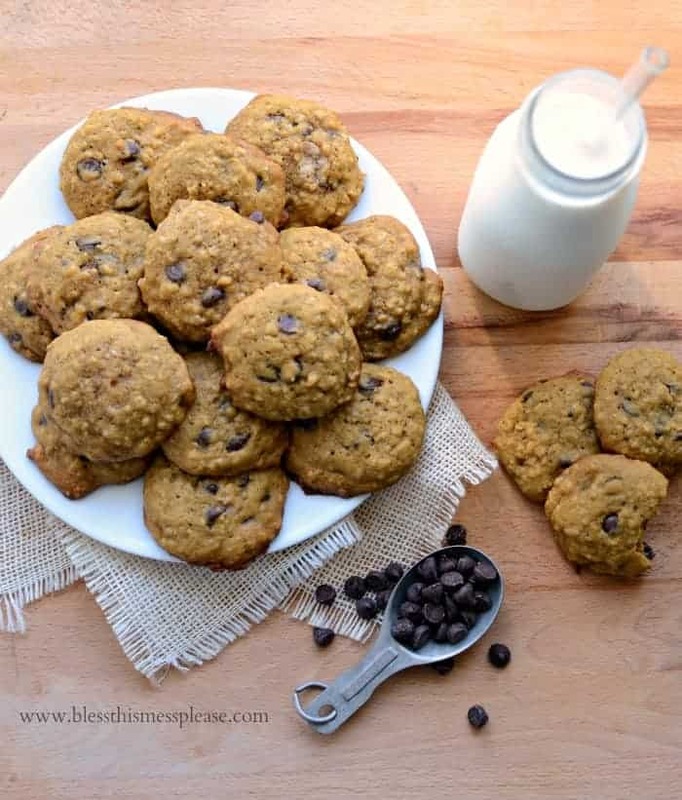 Our kids love chocolate chip cookies – in fact we recently had quite the incident involving the sneaking and hiding of such sweets just this week! I’m really liking your blog! I love both extremes. Good quality dark chocolate and Cadbury milk chocolate, especially if produced out of the US. I love your blog but it took chocolate to get me to comment. These sound yummy. I love oatmeal and pumpkin and chocolate. I hope to try this recipe this weekend. It’s always been a classic chocolate mousse for me. Always delicious, many variations. Oh, and PS Happy birthday to the 6 yo! Can’t believe it’s been that long…!